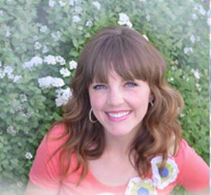 When I first started hearing about the Instant Pot a while back, I remember thinking it sounded too good to be true. One kitchen appliance that does the job of seven? The whole thing seemed a little far fetched. But I kept hearing good things, and then my mom gave me one for my birthday. Her exact words were, "I know it's kind of a lame gift, but I promise you'll die over this thing." It turns out, she was right. Again. You don't have to plan dinner ahead of time! I'm one of those people that struggles with meal planning. I loathe doing it, but I also hate the fact that I don't do it very often! I constantly find myself bemoaning the fact that it's 5:30 and I have NO IDEA what to make for dinner. This contraption has truly been a game changer for me. With my Instant Pot I can easily throw together a nice meal in less than 30 minutes, while it looks like I've slaved away all day in the hot kitchen! It's QUICK! This has been mentioned already, but it's worth re-iterating a thousand times. It's so, so quick! 5-10 minutes to heat up usually, and then about 15 minutes to cook. Every time I pull something out of my Instant Pot, I kind of can't believe it's real. It feels like magic. I love the idea of the crock pot, but I can probably count the times I've actually used it to cook dinner on one hand. I'm never thinking about dinner 8 hours ahead of time, so it does me absolutely no good. 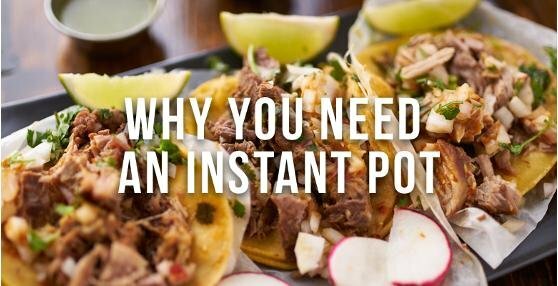 The Instant Pot, however, is incredibly fast! It produces delicious food. Whether you're cooking rice, chicken, pork, yogurt, or steak- everything I've ever made in it has turned out fantastic! Here are 50 Instant Pot Recipes that you need to try! If you already have an Instant Pot, what do you love most about it? !